The fairy tale atmosphere of Europe in winter is unforgettable. There are several destinations that evoke the warmth and magical delight of childhood stories and dream holidays. 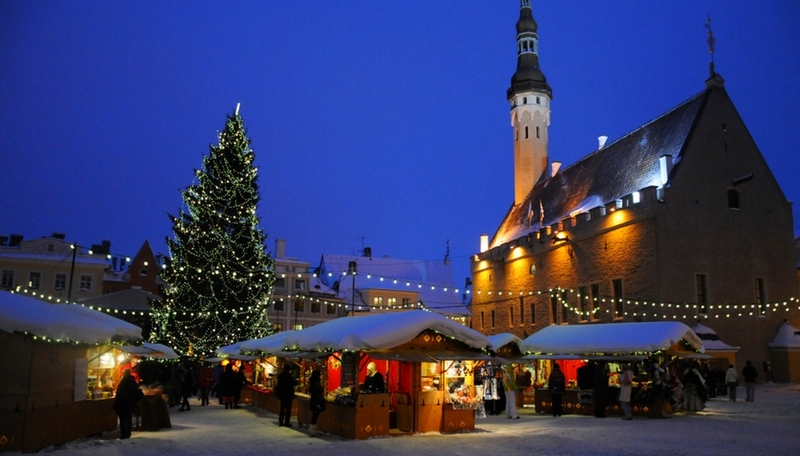 Tallinn is a must-see city for anyone who loves Christmas traditions. It is the city where the first public Christmas trees were erected way back in 1441 and this UNESCO World Heritage site, Tallinn Old Town, features skilled artisans creating handmade crafts and traditional dishes, generating an unforgettable nostalgic winter atmosphere. Local merchants offer traditional Estonian Christmas cuisine, so make sure you try black pudding, sour cabbage, or gingerbread and hot Christmas drinks while you are there. 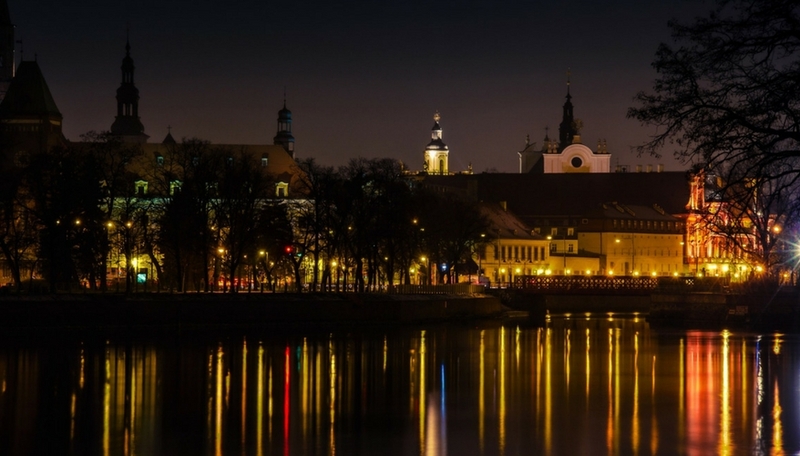 Krakow is an enchanting Polish city during winter, but lesser-known Wroclaw is equally gorgeous. During the winter holidays, Wroclaw lures visitors with a Christmas market that has been in existence since the 16th century. This year, it welcomes locals and travellers from 17 November to 22 December 2017 from 10 am to 9 pm. The Fairytale Wood offers a variety of storytelling for kids visiting the Christmas Market with their families, including The Little Red Riding Hood, Snow White, Pinocchio, the Brave Little Tailor. You will have a great chance to try a variety of Polish delicacies, including pork knuckle, bigos (chopped meat of various kinds stewed with sauerkraut and fresh cabbage), local bread, szare kluchy (potato dumplings), potatoes with herring, pierogis, gołąbki (cabbage rolls) and kwaśnica (sauerkraut soup from the highlands). This breathtaking town in the Bavarian region brings visitors to storybook heaven. 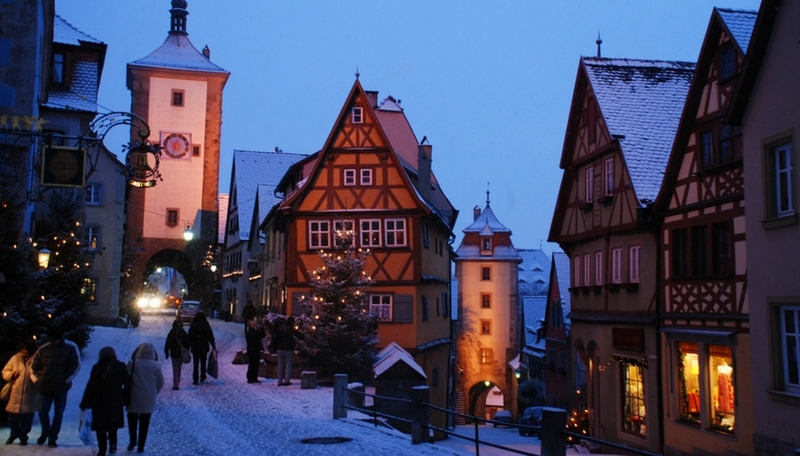 Rothenburg is a true delight at any time of year, but the snow turns medieval spires and rooftops into a living Christmas card. In winter, you can look forward to the Christmas Market at Marktplatz, which is the town’s main hub. Children will also enjoy a visit to the Christmas Museum, filled with interesting facts about Christmas. Treat yourself to a glass of mulled wine and satisfy your appetite with a grilled sausage or roast chestnuts. Bruges is one of the most enchanting European cities, and it brings out all its glory in winter. Bruges is straight out of a storybook – with its canals, horse-drawn carriages plying down cobblestone streets, and buildings that remind you of gingerbread houses. 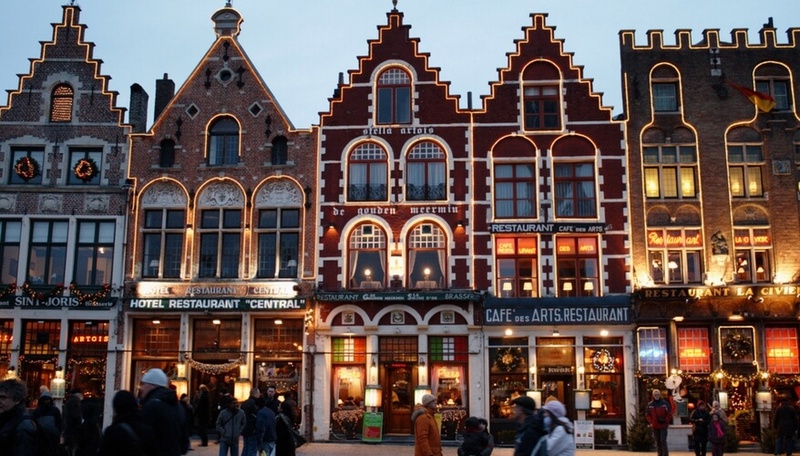 Bruges Christmas market are open from November 25 to January 2 each year. This Christmas, the city comes alive with Grote Markt and the Bruges Ice Sculpture Festival. Enjoy traditional treats, starting with warm waffles and a hot chocolate that many travellers consider to be the best in the world. 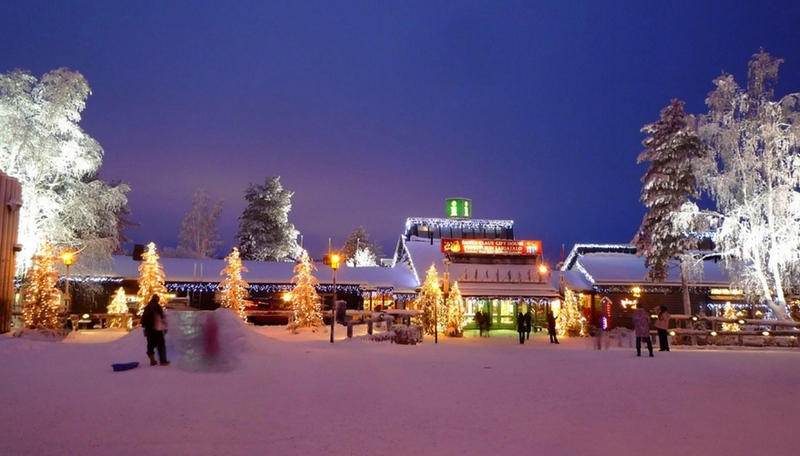 This list wouldn’t be complete without the quintessential Christmas town of Rovaniemi, Lapland. Coming to this town feels like all your winter fantasies have come to life. Not only is it the official home of Santa Claus, but this magical city is home to interesting museums and a great choice of winter activities set amidst an otherworldly winter landscape. Enjoy reindeer and husky rides, Northern Lights tours, and snowmobile safaris. After going to Santa Claus Village which is just a few kilometres away from the centre, visit the Oulanka National Park, Arktikum Science Museum, or go on an overnight adventure and discover the delights of the region. France has countless beautiful towns such as Annecy and Eguisheim, but in winter, gorgeous Colmar offers a little bit of magic. There are a lot of gorgeous buildings to see, dating from the Middle Ages to the 19th century all within a mile walk. 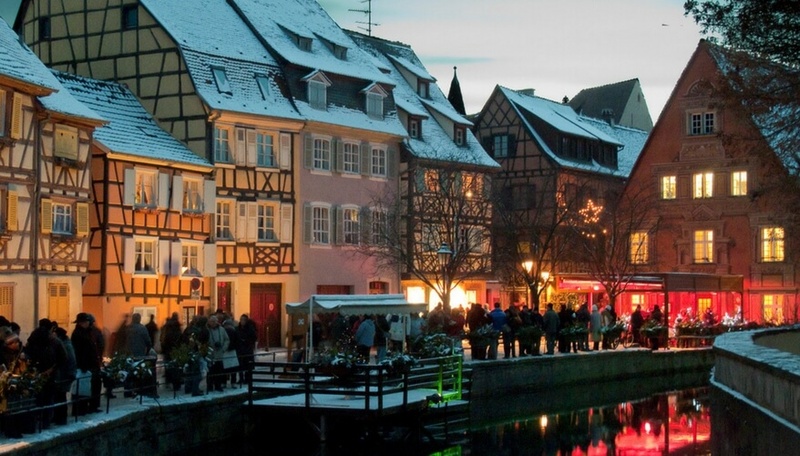 Colmar has an atmosphere of a quaint country village and this year, Colmar Christmas market is open till December 30th. Magical Colmar is complete with a multitude of culinary specialities, numerous sugary pleasures filling window displays of specialist stores to tempt you. 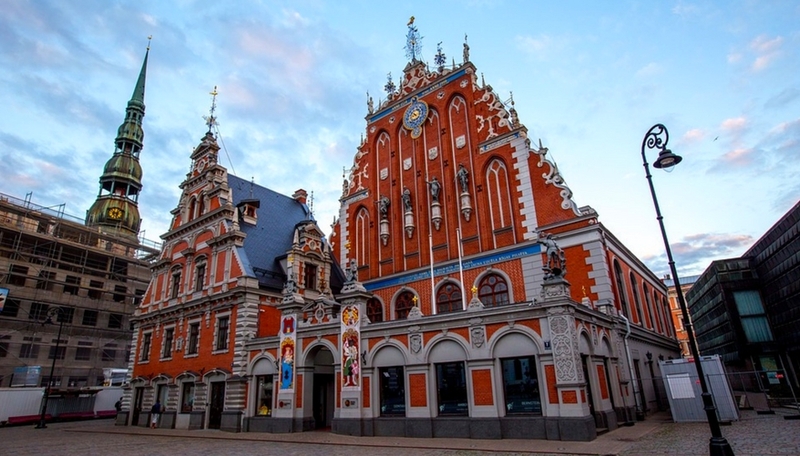 This beautiful Baltic city features a number of Christmas markets located in its city centre. Although this city has several Christian denominations, Latvians still celebrate their pagan roots at the yearly Winter Solstice celebrations where locals wear animal costumes and party the night away. Souvenir gifts include hand-knitted shawls, mittens and socks, artisanal spoons and other woodwork, aromatic candles and many more. Then take a break from shopping with traditional Latvian delicacies like pea and bacon stew, perfect on a crisp winter day. The picturesque Mostar simply takes your breath away. 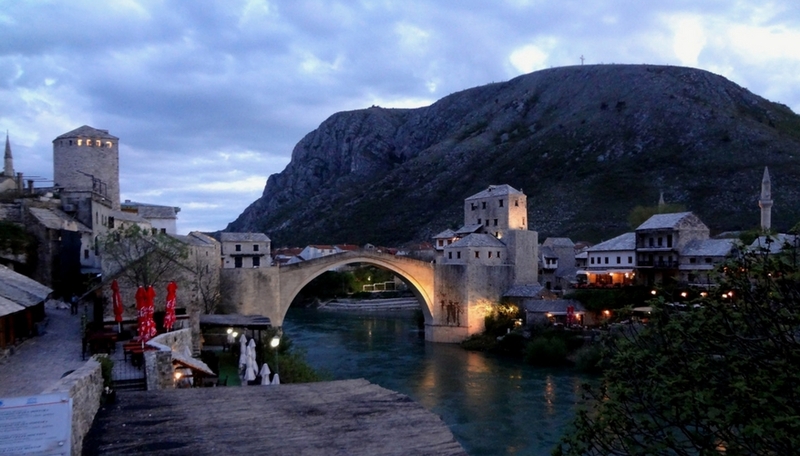 Right at the heart of Mostar is Stari Most or Old Bridge, a majestic sight built by the Ottomans in the 16th century. It feels like you’re in a Tolkien adventure. This winter, head to Mostar to experience their annual Christmas market and delight in its small-town atmosphere. The Christmas market features an ice skating rink, local food, festive music, illuminated shops, hot drinks, and, of course, a big Christmas tree. Before you travel, check the latest travel advice and purchase travel insurance in case of any unexpected emergencies happen. Stay safe and enjoy your Christmas trip!